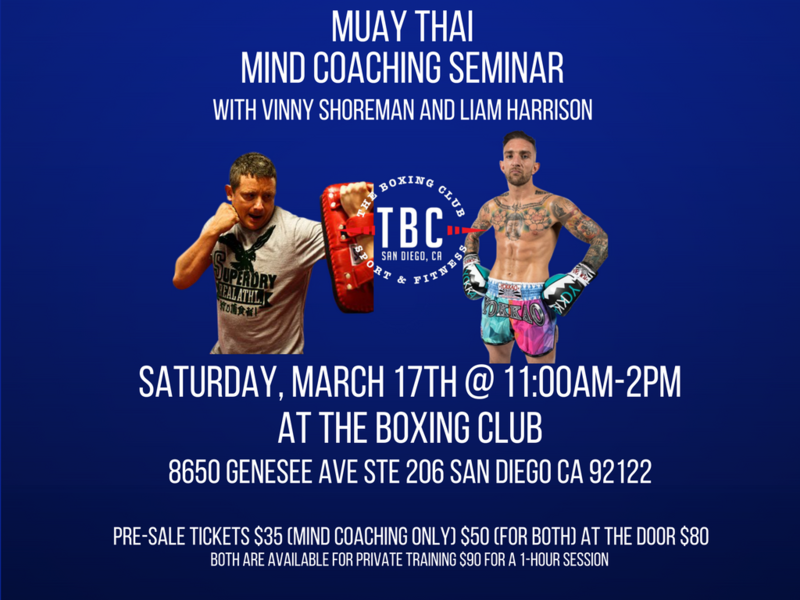 Description: Come learn from some of the best at our Mind Coaching and Muay Thai seminar featuring Vinny Shoreman and Liam Harrison. Pre-sale tickets are $35 for Mind Coaching only and $50 for both. $80 at the door. Call UTC for more information (858) 622-1903.